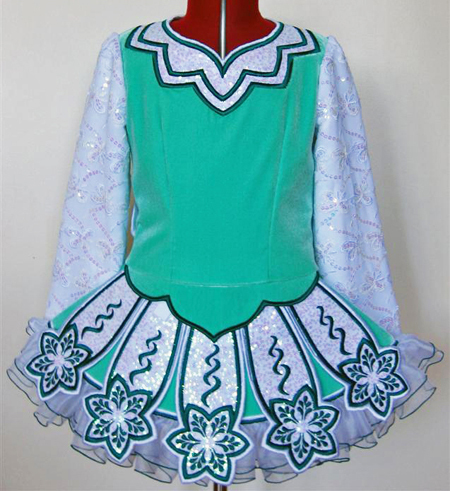 Peppermint green velvet bodice and return pleats. 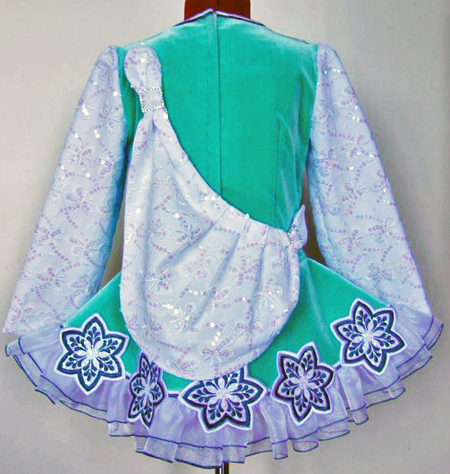 White mother-of-pearl sequin sleeves, bodice yoke, and shawl. 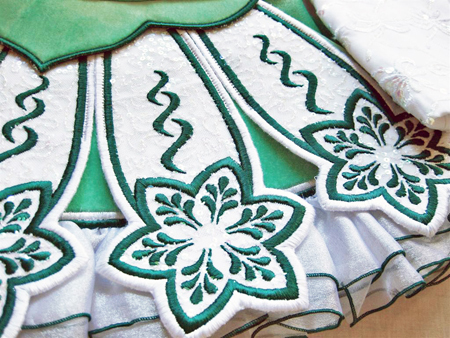 Jade green embroidery on white sequin panels. Double organza ruffle with jade green trim.